Kannur Tourist Places - Kannur is blessed with pleothora of sightseeing options like natural beaches, hill stations, rivers, backwaters, historical monuments and religious centres. This cosmopolitan city was earlier known as Cannanore. Kannur, a coastal city, is located in the northern part of Kerala. 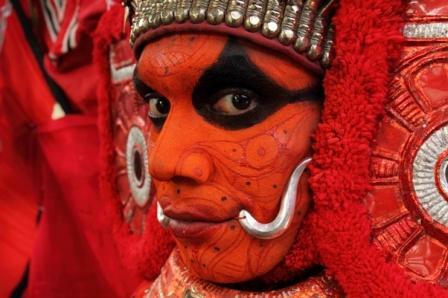 It is also famous for the popular Theyyam, an art form of Kerala. The deep footprints of colonial rulers like the Dutch, the Portuguese, the British and the Mysore Sultanate are still imbibed into the town and can be witnessed all around. Muzappillangad Beach: This is a drive-in beach, and the only drive in beach in India. The long, drive in beach is just 15 km from Kannur and 8 km from Thalassery. Payyambalam Beach: This Beach Resort is a beautiful place to spend an evening, located in the city. 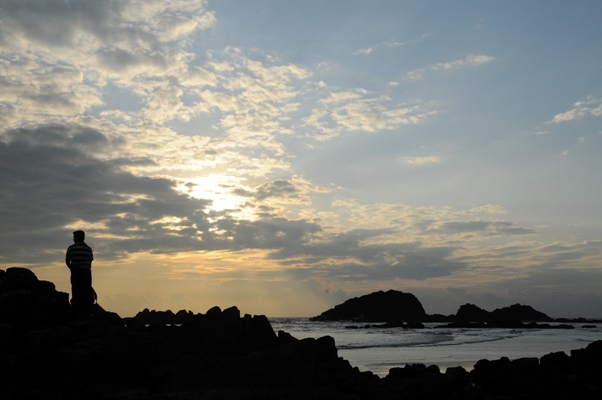 Dharmadam Beach: This beach is famous for its breathtaking beauty. St.Angelos Fort- constructed in 1505, is a symbol of Portuguese architecture and a great tourist attraction. Thalassery Fort– This is a square structure fort built in 1708, on a hill called Tiruvellapadkunnu. It has massiv ventilated walls and strong flanking bastions. The famous St. John's Anglican church is situated behind this fort. Thalassery (Tellicherry) is just 70 kms away, the Church built by the famous European Scholar of Malayalam Dr. Gundert, and Gundert Bungalow. Parassinikkadavu : Parassinakkadavu is 6 km away from city where the famous Muthappan temple is located where daily theyyam performance is done as ritual. Another important place to visit here is the Snake Park which is home for many varieties of snakes like Cobra, Pit Viper and many more. Arakkal Museum - highlights Kerala's one Muslim royal family. Ezhimala - The hillock is at a 287 mt height. It is believed that Lord Hanuman while he carried the Sanjeevani herb to Lord Lakshman dropped this hill here. Taliparambu - 25 kms from the Kannur tow, lies the beautiful Taliparambu through which two rivers (Valapattanam River and Kuppam River) flow. Peralassery - 15 km from Kannur is the town of Peralassery, known for its Peralassery Subrahmanya Temple. It is believed that on their way to Lanka to free Goddess Sita, Lord Ram and Lord Laxman, stopped at the temple for a while and they left a bangle here. Kannur is also known as the land of looms and lores. Kannur provides employment to thousands of people with handloom weaving industry. Another great importance is Kannur the home of Folklore Academy in Kerala.